On this trip we will not only explore the business environment in the United Arab Emirates (UAE), but also how the free exchange of ideas and spiritual values is impacting the region and the world beyond. 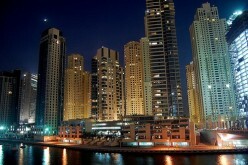 The UAE has grown from a quiet backwater to one of the Middle East’s most important economic centres. On this journey we will explore the influences which social, spiritual , economic and education leaders have on society. In 1971 Sheikh Zayed, the ruler of Abu Dhabi at that time, formed the United Arab Emirates, a federation of seven independent Gulf states (Emirates) and set in motion their dramatic transformation into a unified country. 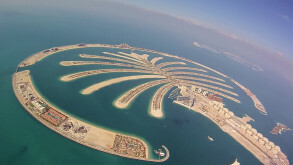 Empowered by oil wealth and inspired by his vision to build a modern nation, the leaders of the UAE have literally transformed the desert into modern cities. 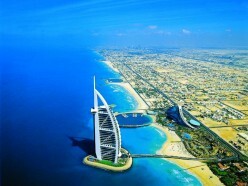 The UAE is unique in that the local national population (Emiratis) represents only about 20% of the total population. With over 120 different nationalities that live and work in the UAE, it has created a uniquely globalized culture that is an intensely multinational and multi-cultural. Dubai functions as a strategic international logistics, trading, tourism, transportation and financial hub, and that bridges East and West, North and South. With a talent for creating attractions that make it a global destination, Dubai has also become the shopping center of the region, with tourists visiting from the Arab, Middle East, Central Asia, and African countries. 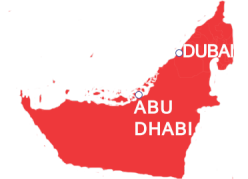 Abu Dhabi is the Capital of the UAE and it is where the Federal Government is based and is also the center for the oil industry. 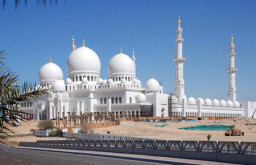 Abu Dhabi is also developing high end cultural tourism destinations with branches of the Louvre and Guggenheim Museum(s). As the holder of the majority of the UAE oil reserves, and a large Sovereign fund, Abu Dhabi holds considerable financial sway over the country and its future. *Costs are based upon student pricing/double occupancy. Add $595 for single occupancy. Costs do not include university credit fees. Costs are estimated until final trip itinerary & air flights are determined. Application completion and payment in full must be made by deadline date.